Removal ProcedureRemove the engine front cover. Refer toEngine Front Cover Replacement. Install the primary upper camshaft drive chain guide. 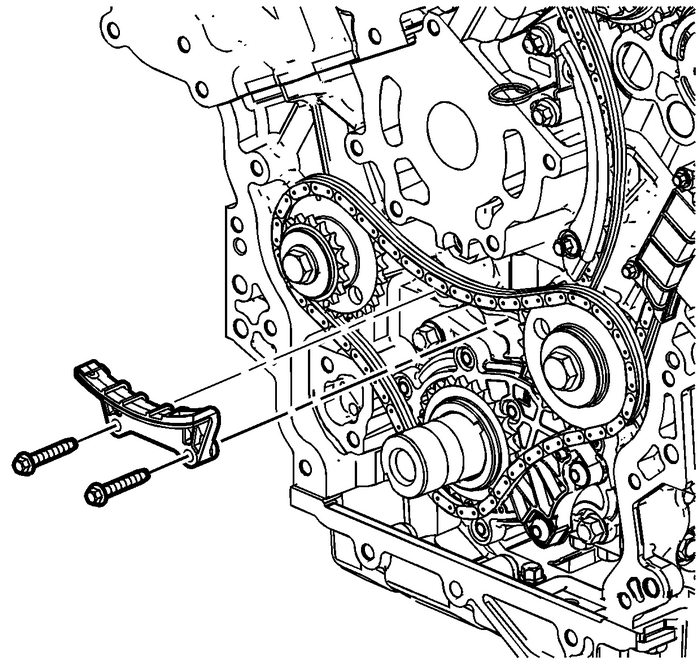 Refer toPrimary Timing Chain Guide Installation - Upper.Install the primary camshaft drive chain tensioner. Refer toPrimary Camshaft Intermediate Drive Chain Tensioner Installation.Install the engine front cover. Refer toEngine Front Cover Replacement.